HOME /Blog /Family quality time ideas. UGears model sets is an ideal solution for the quality family time. Complex and sophisticated, these 3-d puzzles are not only fun and exciting but also quite practical. In which ways the UGears 3-d puzzles are beneficial for the whole family? We will tell more in the article below. What are the UGears 3-d puzzles? 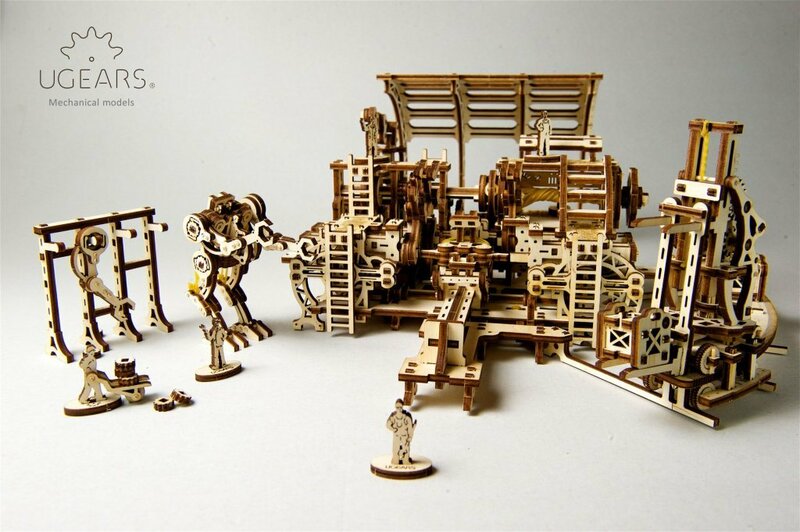 UGears 3-d puzzles are the construction sets of various types of vehicles, animals, complex engineering structures and mechanisms and even musical instruments. The models consist of a number of pieces varying from 70-100 to 400-500 and are made with high-grade quality wood materials. The assembly of the most complex of the models can take up to 12-16 hours. But the most exciting feature of these 3-d puzzles is their self-movement! A small tuber-band mechanism hidden inside each of the models provides for self-motion, making them come to life with a simple wind of a key! What are the benefits of the assembly process? First, working on assembly of UGears 3-d puzzles brings families together, contributes to planning and organizational skills, teaches self-accountability and teamwork. The assembly process benefits younger children as it contributes to their small muscle development and requires skills such as abstract and logical thinking. The sets are great for youth and young adult users as their design demonstrates the work of basic laws of mechanics. The unique and original design of each model allows observing the work of the engineering elements from the inside. 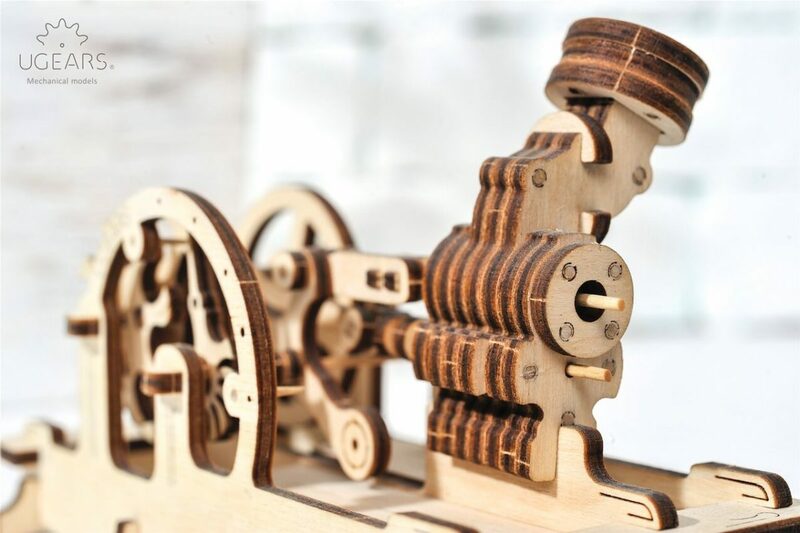 For example, the UGears Original Pneumatic Engine kit demonstrates how the air pressure transforms into the mechanical force and vise versa. Some of the UGears most complex sets, like a 598-piece Robot Factory, are ideal as a weekend project for the entire family. Working on the assembly of the model and playing with it after will bring parents and kids, especially rebelling teenagers, closer together for hours of fun and exciting activity. Visit our website to learn about the large selection of UGears sets and choose the models most suitable for your family. Family quality time with benefits! Many parents struggle searching for the perfect activity that is beneficial and fun for every family member. UGears offers a solution! Our 3-d sets guarantee to bring the entire family together for fun and exciting activity. Curious to learn what benefits UGears 3-d puzzles offer? Find your answers in our blog.